When something goes wrong in your home, it’s good to know the difference between a job that you can fix and a job that requires professional help to get it sorted. Knowing how to fix simple things around the home will tend to save you a few quid as you won’t need to hire someone to do it for you. It’s not always easy though, and this comes from someone who’s currently struggling to change a light bulb in the bathroom. Hopefully, this list of easy home DIY repairs will help us all become quick-fix wizards. 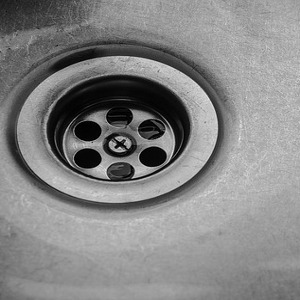 First things first though: it’s probably not a good idea to attempt to fix any complicated electrical or plumbing problems without some professional help. Always assess the situation first to make sure it’s safe for you to fix it yourself. How do you know when your radiator needs bleeding? Well, if your radiator is on but not properly heating the room, it’s a good sign that something isn’t right. You can usually spot when a radiator needs bleeding by turning on your central heating and feeling if the radiator is warm at the bottom but cold at the top. This task is probably about as fun as it sounds but having your radiators on when they’re not working is a waste of money and energy – not ideal. Here’s a guide to bleeding your radiators. To bleed your radiator you’ll need a radiator key. If you haven’t already got one of these you can pick one up from a DIY store quite cheaply. No excuses here. This isn’t a repair as such, more of a preventative measure to help your boiler last longer. Again, probably not a very fun task but having a working boiler is significantly better than having a broken one. Mainly because boilers seem not to work during the winter and on Christmas Day etc. Simple things like turning the heating on and checking the boiler light can help you make sure it’s working properly. 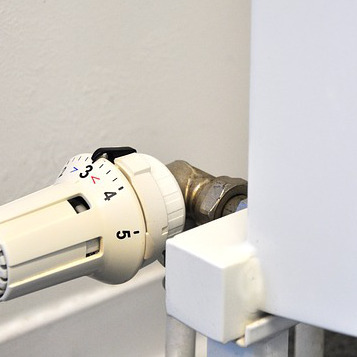 Here are some useful tips to help you take care of your beloved boiler and some warning signs that it’s about to break. After all, a healthy boiler is a happy boiler. If your toilet won’t stop running, you’ve got a problem on your hands. Not only is it annoying, but it’s wasting a lot of water too. Luckily, this is a problem that can be fixed at home if you know what to do, and it only takes about 15-20 minutes. If you don’t know your flapper from your valve, don’t fear. Here’s a video guide on how to fix a running toilet. In a perfect world we wouldn’t be living in homes prone to mould. But this is the real world and 95% of the rented houses I’ve lived in have had mould lurking in them somewhere. Mould isn’t a great housemate. It can cause health problems and damage the walls of your home if it’s particularly bad. It’s not great to look at either. If you’ve got some specks of mould beginning to show, mix equal parts of bleach and warm water and carefully sponge it off the wall. It’s probably a good idea to wear a dust mask to protect you from any spores, and rubber gloves. Once you’ve finished, use an old dry tea towel or rag to remove the moisture on the walls. Chuck it away once you’ve finished and clean any surfaces in the de-moulded room. The NHS has a good guide to removing mould and goes into more detail about what types of mould are safe for you to remove and when it’s a good idea to call in a professional. There’s nothing worse than water in the sink or shower building up and taking forever to drain. Well, there are quite a lot of things worse but it’s still annoying. You don’t always need to call out a plumber to unblock your sink. There are a lot of different things that’ll help you do the trick. There’s a pretty good guide to it all here with lots of different techniques to try including using fairly cheap things like baking soda and vinegar. Of course, a good tried and tested method is using a plunger, so here’s a guide to using a plunger to unblock a sink too. Obviously if these don’t work it might be time to call in the plumber but it’s definitely worth giving it a go first. I live in fear of the fuse box in my flat tripping, mainly because I’m not entirely sure where it is. I’ve lived there since August. This is not ideal. I’ve had a lot of experience with fuse boxes tripping before though, from them stopping all the electricity in the house to just the lights on one floor. Overall, it’s pretty annoying. It’s good to be able to identify the problem, whether it’s a circuit tripper or a blown fuse so you can know what you have to do to fix it. Circuit trippers usually stop the electricity flowing when too many electrical appliances are plugged in whereas a blown fuse will need replacing. Here’s a guide to both and instructions on what to do in each situation. This isn’t a home repair but knowing a few ways to get rid of mice might save you paying for a professional to do it. Obviously if things get out of hand, it might be better to call one in but until that time comes, here are a few tried and tested methods. I’ve picked up a few tips to get rid of pests over the years, mainly mice. A mouse (or probably family of mice) moved into my flat before Christmas. I wasn’t OK with this so off I went to buy a selection of traps and devices to get rid of the issue. 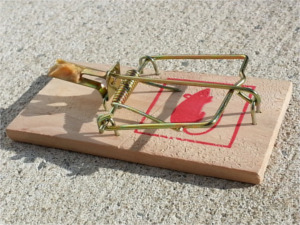 Snap trap: The mice ignored the snap trap even though I’d baited it with their favourite treat – peanut butter. I guess these mice were smarter than me. Humane trap: Again baited with peanut butter, again ignored. As before, mice are obviously smarter than me. Wire wool: An essential in getting rid of mice, super cheap too. Mice can fit through tiny gaps because they can collapse their skeletons or something ridiculous. So, it’s important to block any small holes or gaps under the skirting board that they could be sneaking through. Mice can’t chew through it, so it’s ideal. My flat is basically full of wire-wool right now and it’s staying that way until I move. So wire-y. Poison pellets: I know the mice definitely ate these because for some reason they scattered them all over the floor, the final insult. This happened for three nights and then no more. I’ve seen no mice since (they were fearless and would run about) so I’m saying this was the thing that did it. Peppermint oil: Mice hate mint, who knew? Hard to say if this works, it’s unlikely, but it made my flat smell like candy canes, so no real complaints there. Most people I’ve spoken with have said that (unfortunately) snap traps worked well for them, but for my mice the pellets seemed to do the trick. I’d rather have used a humane method but sometimes it just can’t be helped. Grout is the pasty thing that goes between tiles in the bathroom. Unfortunately, because bathrooms tend to be a bit damp at times, it can sometimes get mouldy and could do with a good scrub. It’s good to identify whether the grout can be fixed with a simple mould remover spray (found in most DIY shops) or if it needs replacing. Replacing grout isn’t as hard as it seems and will make your bathroom gleaming again. Here’s a simple guide that’ll help you identify when to clean or replace grout, and shows you how to replace it if necessary. A draughty home is not a happy home. Insulating your home is always a good idea because it helps you stay warm and keeps heat from escaping and wasting money. Our Rory has already put together a guide to insulating your home on the cheap so have a read and look forward to a warmer home. A while ago my hairdryer started getting super warm and overheating. I was outraged. Buying hairdryers is a really rubbish thing to have to spend money on. So I investigated further to see if there was anything I could do to save it. Turns out, it was a lot easier than I thought it’d be. I removed the back part of the hair dryer (it kind of clipped off) making sure it was unplugged first and found a dryer vent full of lint. Gross. Obviously I cleaned it and suddenly my hair dryer was back to its normal self and happy times could resume. 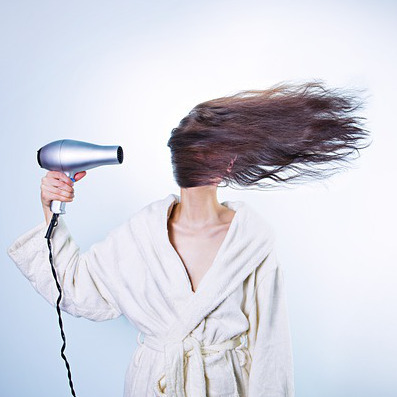 There’s a good guide to cleaning your hairdryer here. Do you have any tips and tricks for DIY home repairs? Let us know in the comments below.